Many times, it is only the surface of what we see or experience, that we take into consideration. We judge, or evaluate simply from the most evident image, or action of a person, place, or thing. There are times when we purchase something without checking out the details of the product, only to be disappointed in our decision. Perhaps we did not research the item or did not examine it closely enough. 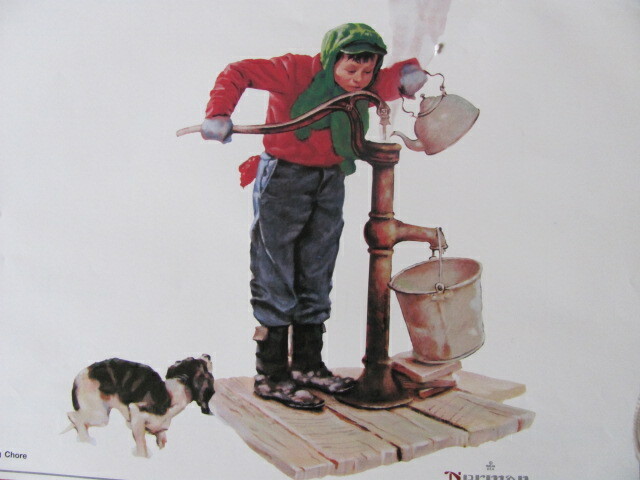 Recently I received some awesome images through e-mail of Norman Rockwell’s magazine art. He has always been one of my favorite artists. Personally, I have a volume or two of his works. Taking a very close look at the details of his paintings, once again, I stand amazed at how he captured every detail of a person. Details, such as the look in a person’s eyes; worn shoes; wrinkles in faces, frayed clothing, and it put me to thinking. Just how deep do I look into a person before I fix an opinion of them? Maybe you have had experiences like mine, where without even meaning to, I have drawn an opinion of a person, only later to find that they are nothing like the outer person seemed to be. You know the old adage “first impressions are lasting impressions.” That is not the case for me now. Lovely, pure and heroic are often hid deeply in the person, and I am thrilled when those wonderful traits become known to me. My desire is to always look deeper into the person and love them for what they are. Norman Rockwell does it with his paintings of the everyday person. I hope to do it with my heart. This is so true!! I have finally learned to go slow, when meeting a person, as to whether i need to get involved with them i.e. acquaintance, friend, or really good friend, or just avoid. Now someone needs to teach me to be that vigilant in examining products I am about to buy….Recently, having a good coupon, I decided to try a new bathroom cleaning brush, only to get home and find that I only bought the refill!! Still need the handle!! So much for saving money. Oh Edna, I love it!!! Yep that is just what I was talking about. It’s all about the details.